Looking for genealogy books? Biblio.co.nz hosts hundreds of of the finest online book stores and booksellers, including specialists in genealogy. Use the list below to locate a specific specialist bookseller or book store near you. Or, use the form below to search the inventory of all booksellers who specialize in genealogy. I operate from private premises, and mainly issue catalogues. Visitors welcome by appointment. Please let me know sometime in advance, if you wish to visit, as not all of the books are held on the premises. Established in 1972. Issuing catalogues since 1973. 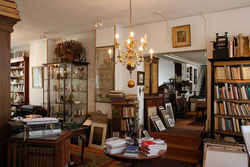 Our store with rare books and prints is open every Saturday from 10.00 to 17.00. Bequaert Old Books is located in the center of historic Fitzwilliam New Hampshire. We are a seasonal shop open April through December. We have a general stock with specialities in Technology, Radio Broadcasting, Monarchy, Children's Books and Travel and Adventure. 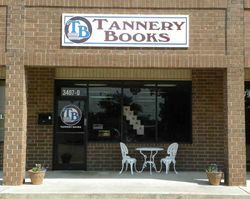 All of the books we list on the internet are available for sale in the shop organized by topic. See our web page at www.beqbooks.com for more details. This book is self published by the author and printed in Tennessee by ZoePrint. Kae Lewis has written numerous articles about gold rushes and has been asked to speak at many events including meetings, conferences and cruises. Stuart Raymond is one of Britain\'s leading genealogical authors and publishers; he sells new genealogical books from most of the leading specialist publishers. He also has available a small number of second-hand books, mainly in the field of history, politics, and literature. We have been in business for over 58 years. 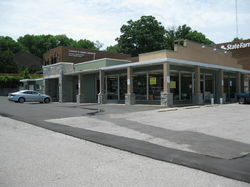 Our offices and warehouse are located at 375 W Broad Street in Greenville, SC. We specialize in books on genealogy, local and family histories. We stock a wide variety of used books, including many inexpensive titles that are not listed online. We also sell new books by local authors and books about Quakers and Piedmont North Carolina. In the categories below, Vintage books are at least 50 years old, and Antique books are at least 100 years old. Vintage Children's may be more recent, but at least 30 years old. Large inventory of genealogy material.